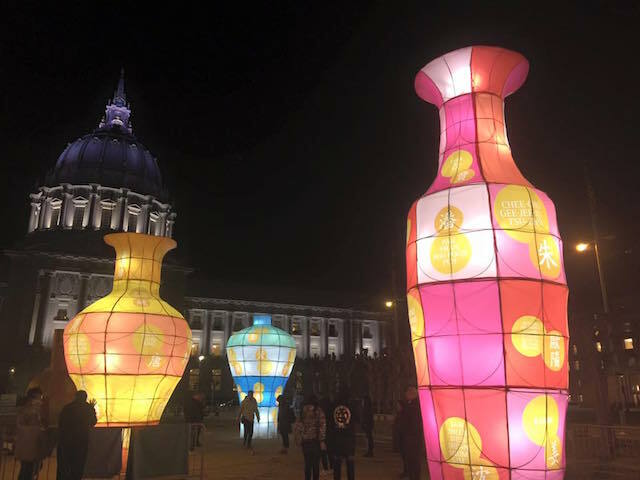 Although the sixteen 20-foot bamboo lanterns that now stand outside Civic Center in an art installation called "Peace All Year Round" will last only through March, the spirit of the artist's message, we can hope, may well outlast his work. Dedicated yesterday to coincide with the Lunar New Year, "Peace All Year Round" was created by the Hong Kong artist Freeman Lau and also serves to commemorate the 20th anniversary of the establishment of the Hong Kong special administrative region after its sovereignty was transferred from the UK to China. 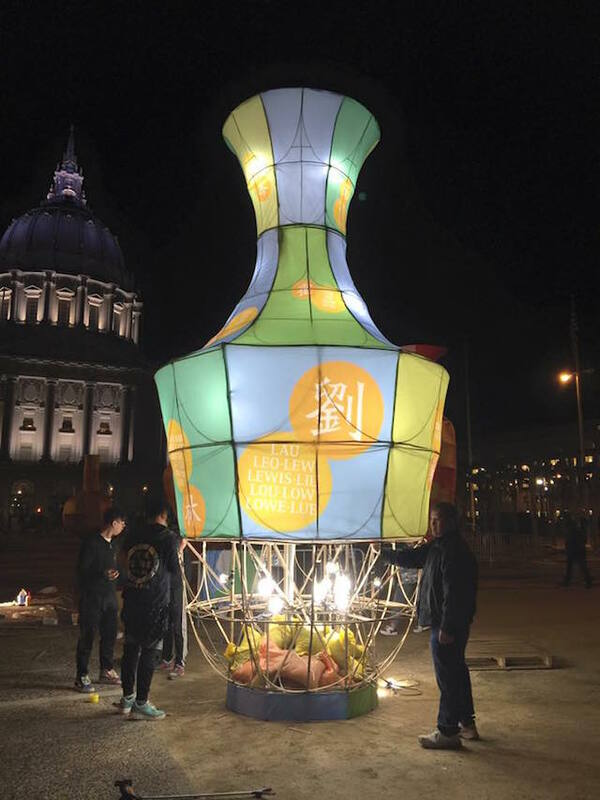 Lau's work is sponsored by the Hong Kong Economic and Trade Office and was organized by the Asian Art Museum, SF Rec and Parks, and the SF Arts Commission. Lau's bamboo lamps are made to resemble vases, which is a sort of pun. 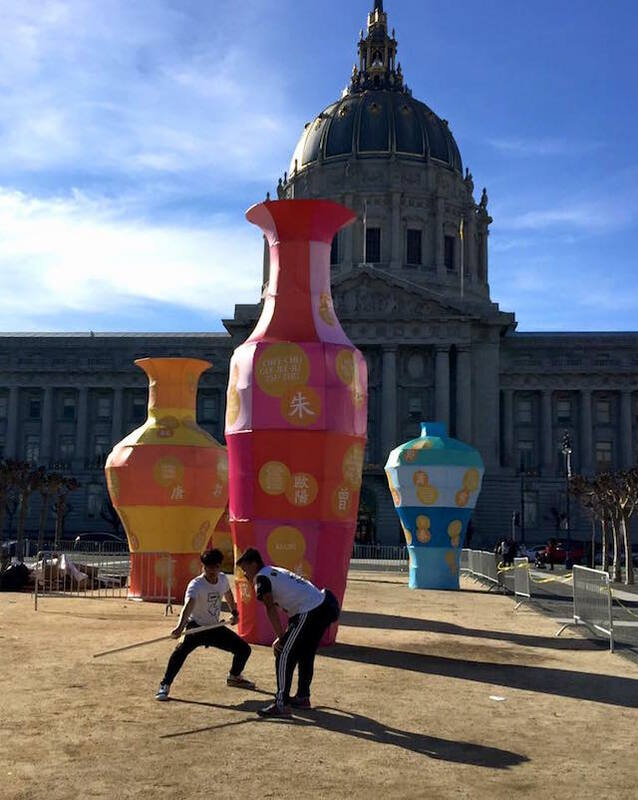 "In Chinese, the sound of 'vase' (花瓶 Hua Ping) is the same as 'safe and peaceful' (平安 Ping An)," the Arts Commission explains.